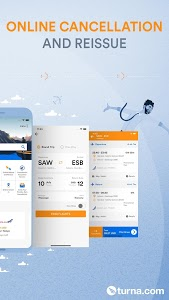 Awarded app for cheap flights. Buy cheap flights from 1000+ airlines and earn points from your all flights. Compare Turkish Airlines, Emirates, Qatar, Air France, Lufthansa, Pegasus, Onur Air, Sunexpress and all other airlines prices in seconds. We have been awarded by Felis as having best User Experience in 2018. 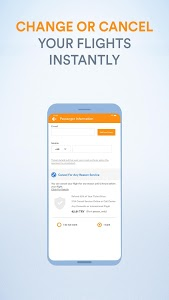 Use Turna App to search for all destinations and compare almost all airlines in the World. You fill find all international and domestic flights. You will love the prices of Turkish domestic flights. Especially if you are travelling to Istanbul, Antalya, Dalaman, Bodrum, Fethiye, Alanya, Ankara, Cappadoccia, Kayseri. You can book and buy later or pay with your Visa, Mastercard or Amex to buy online. 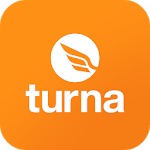 Download Turna and get instant access to all cheap flights in Turkey and World. Become a member to benefit from Turna Loyalty Program and earn bonuses for all your flights. You will earn bonuses even you buy for other passengers. 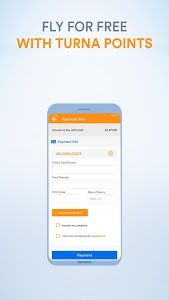 All Turkey Credit Card programs (World, Axess, Bonus, Maximum, Cardfinans, Paraf) bonuses can be converted to turna points and saved in your accounts. You will get discount for the next 2 years. We apply no commission to your all credit cards and debit cards. We are using 3D Secure and SSL to make the transaction secure. We never save your credit card information. You will be able to benefit from all promotions on Turna. We cooperate with Airlines to make special discounts periodically. You will see amazing prices from time to time. Do not miss these opportunities and download Turna. Just an additional feature to protect you from cancellation fees. Add Cancellation Guarantee to your flight and get 90% money back guarantee. You do not need to claim any reason. Your friends will buy flight for themselves and you will earn 10% bonus for each of them. You will fly for free. 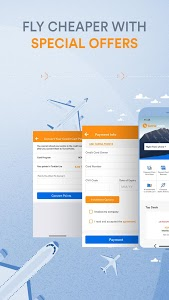 Download Cheapest Flights with Turna and start flying for free. Turna Flight Tickets App is awarded Felis to appreciate as providing the Turkey's best user experience. We have added online flight change and cancellation features. We are very much obsessed with user experience. You should also try it. Similar to "Cheapest Flights with Turna"